How to make it ? Take a saucepan and put water into. Add cinnamon powder and honey to the water and keep this saucepan on a stove to bring the mix to a boil. After boiling the watery mix of cinnamon powder and honey, switch off the stove and set the pan aside to allow it to cool. Now take two glasses and divide the juice in equal proportion. Drink first glass of juice around an hour before your breakfast while keep another glass of drink to consume an hour before night time sleep. Note – A number of health experts advise to add raw honey to the boiled mix of cinnamon powder and water. You can go either way, both are beneficial. How does it help you in losing weight? If you devotedly follow this weight loss regime and consume honey and cinnamon juice twice a day, you can lose around 2-3 Kgs of weight in a week. Although the amount of weight reduction differs person to person but you reduce weight for sure. And most importantly, honey and cinnamon drink do not ask you to make any change in your regular diet plan. Honey has always been a favorite in the weight loss segment. 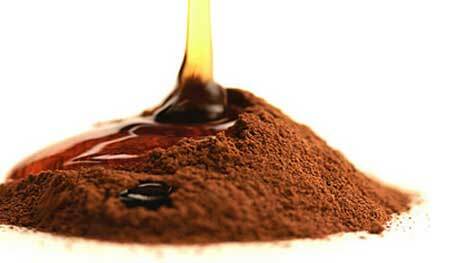 Fitness frenzies often substitute sugar with honey to make their edibles and beverages healthful. Many people also advice taking honey with lemon juice and lukewarm water to reduce weight, as honey cuts down fat from your body. When this natural boon is mixed with another miraculous product of nature – cinnamon, both of them work together to melt stubborn fat of your body quickly. Cinnamon has the properties to put effect on your blood sugar. It breaks down every sugar molecule in the blood stream. It helps in perfect metabolism of consumed food which doesn’t allow fat to be restored in your body. Both honey and cinnamon incorporate great therapeutic qualities. Thus, consuming cinnamon and honey drink frequently not only helps you in getting a fit body but also it benefits you in numbers of other dysfunctions of body. It is supposed that this drink positively helps you in curing arthritis, heart diseases, cholesterol, cold and bladder infections. If you are suffering from an upset stomach, taking a dose of honey-cinnamon mix can help you in getting an instant relief. Apart from curing many of your ailments and making you lose weight, honey and cinnamon juice also helps you in making your immunity system better. Honey strengthens WBC of your body which fights with external bacteria and viruses to keep them off your physical system. Honey and cinnamon drink not might taste great though, it is very advantageous in weight loss program. Anu Shakti Singh is a writer by nature and profession who shows equal perfection in carrying off a mother’s responsibility as well as a fashionista’s garb.